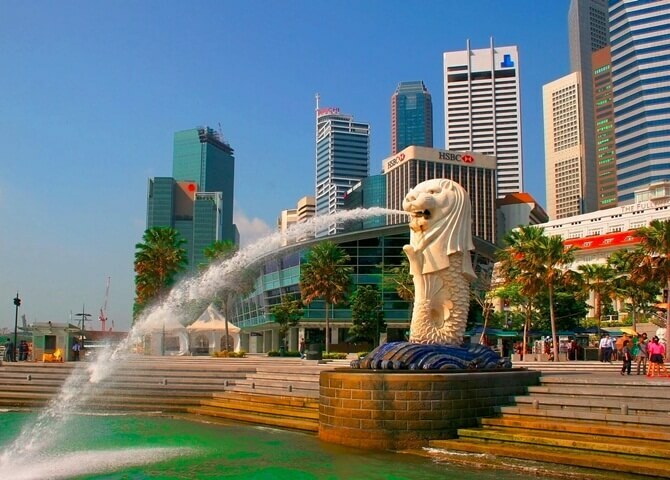 Singapore has launched a 4-day free transit visa for Indians traveling to the United States, the United Kingdom, Canada, Switzerland, Japan, Germany, Australia and New Zealand via Singapore International Airport. Those having Indian passports, valid visas issued by any of these destination countries, and confirmed air travel tickets are eligible for the visa free transit facility in Singapore. The 96-hour free transit visa to Singapore can be used only once, either onward flight from India or return flight from any of these countries. Apart from Indian nationals taking flights to USA, Indian Americans can also make the most of Singapore’s 4-day visa free transit facility though they themselves are not eligible for it. Indians in USA often book flights for their parents, relatives, friends and other family members in India. With the new complimentary free transit visa, the costs of their flights to USA or return flights from USA to India via Singapore will be reduced. Indians having a single journey visa (SJV) or a multiple entry visa to either of USA, UK, Canada, Australia, Germany, Japan, Switzerland and New Zealand can apply for Singapore’s 96-hour visa free transit facility. Be it a single or multiple journey visa, the visa must be valid for at least one month from the date of entry to Singapore. Those having single journey visas can avail the 4-day visa free transit stay facility in Singapore even after having utilized the SJV, only during the return journey to India directly from the country that issued the SJV. At the time of transit entry into Singapore, travelers should have confirmed air tickets to India for the return flight or to USA and other countries for the onward flight departing Singapore within the next 96 hours. The new visa free transit facility in Singapore for Indians cannot be extended beyond 4 days or 96 hours from the date or time of entry into Singapore. Many US-India flights from San Francisco, Houston, Austin, New York and Boston to Mumbai, New Delhi, Kolkata, Chennai and Hyderabad are operated via Singapore. Indian Eagle, a trusted travel partner of Indian Americans, books cheap flights from USA to India and vice versa for these routes via Singapore. Hi Mallikarjun, please do call Indian Eagle’s customer service at the toll-free number 1-800-615-3969 to your query addressed.